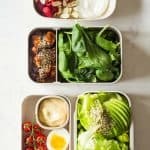 What is the keto diet, how do I create and follow a keto diet plan and how do I make a 1-day keto meal plan? This and delicious keto recipes all in one post. What the heck is a Keto Diet Plan? Let’s start by explaining what the keto diet is first, shall we? The keto diet is a very low carb and high fat diet. You avoid carbs and replace carb calorie intake by fat calorie intake so the body produces ketones in the liver to be used as energy. Burning fat for energy burns body fat. It can be referred to as ketogenic diet, or short: keto diet, low carb diet or low carb high fat diet (LCHF). To read more about this diet and get in depth information check out this keto diet info website. You’ll find tons of information and resources there. Now to get to the Keto Diet Plan, you need to follow a very strict nutrition plan for this diet. Therefore, you’re best off having a precise keto diet plan. A keto meal plan either for the day or dinners of the week for example and accommodate the rest of your meals around those dinners. I believe 1-day keto meal plans with delicious keto recipes prepared either one day ahead or right that moment following your keto diet plan are the easiest way to follow this diet. The hardest about adopting a new way of eating is sticking to your goals. Meal planning is the number 1 thing that will keep you on track. That will make you reach your goal. If all you have to do is grab your breakfast and grab your lunch and grab your dinner, how likely do you think you are to change your mind and go prepare or buy something else to eat? You want to give the Keto Diet a try? Make a Keto Meal Plan that keeps you excited to stick with your goal. Plan a day at a time or a week at a time. Your choice. But plan! Choose a Keto Meal Plan that is easy to execute, in your budget, and pleasing to your taste spuds. You won’t be able to follow a keto diet if you have only recipes on your list that take about 3 hours to prepare each. Recipes that cost a fortune. Or recipes that need to be swallowed with your eyes closed and pinching your nose. The first thing you need to do for your Keto Meal Plan is calculate your macros. Everybody is different. We are all of different shapes and sizes and not only our dietary but also our nutritional needs should always be adjusted to OUR body! 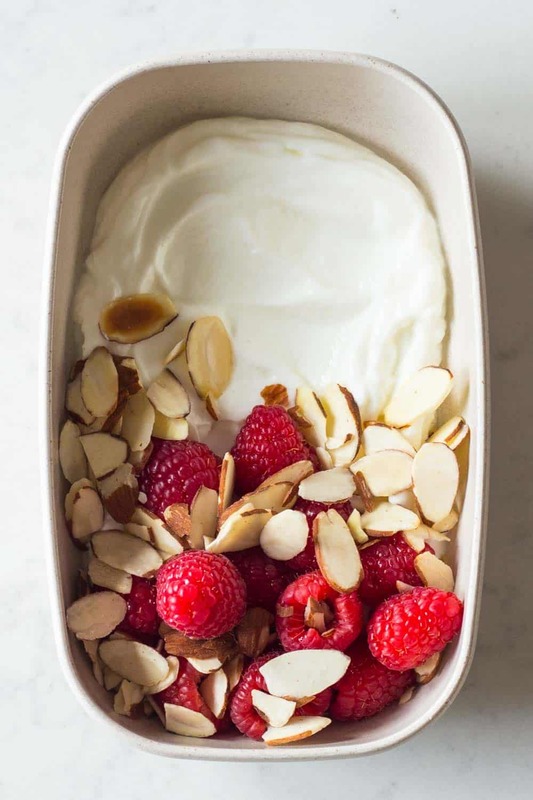 A healthy keto breakfast as for a complete keto diet plan – unsweetened full fat greek yogurt topped with raspberries and sliced almonds. 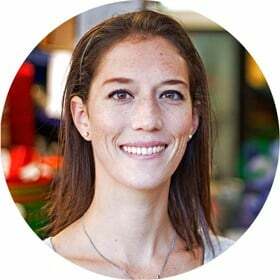 For me as a 5’7″ (170cm) tall 122lbs (55kg) heavy 34-year old woman that is very lightly active throughout the day I’m supposed to eat about 1435 calories, from which 116g should be fat, 20g net carbs, and 78g protein in one day. Net carbs are total carbs minus fiber! This is suuuuper important because 20g of carbs are suuuper little and all vegetables have carbs because they have fiber. You need vegetables for vitamin intake and you need fiber for proper digestion. If you consider overall carbs for your calculations you end up eating only protein and fat and that’s not healthy at all. It’s always good to eat a lot of vegetables, no matter what diet. Fruits are rather limited in this diet because of their sugar (fructose) content and rather higher carb content. Fruits are healthy but vegetables are way more important in any diet. If you love fruits stick to low-carb fruits like raspberries and strawberries. 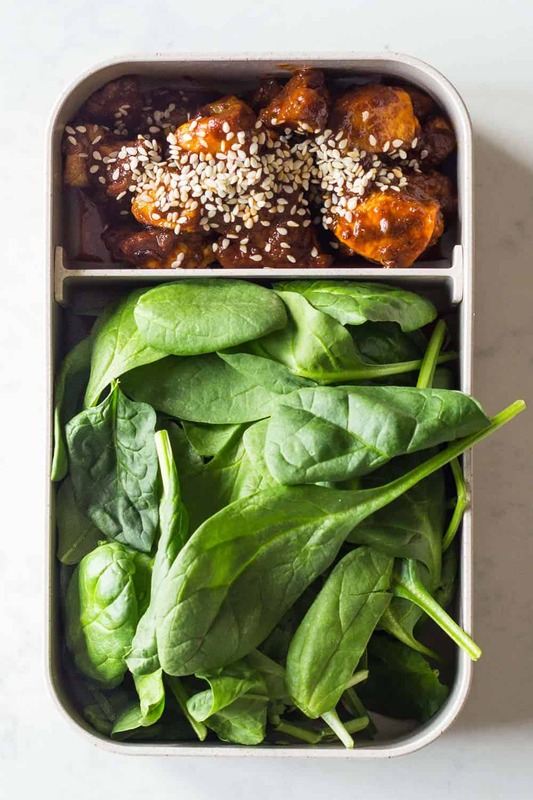 A healthy keto lunch as part of a complete keto diet plan – chicken curry made with coconut oil and full fat coconut milk, topped with sesame seeds and baby spinach on the side. Keto Diet the Healthiest Diet? Who might not benefit from the keto diet? From my research this diet is not appropriate for people with kidney disease; liver, pancreatic or kidney conditions; people with blood sugar issues such as diabetes; pregnant or nursing woman; and people suffering or recovering from an eating disorder. Your metabolism might not be able to stomach the high fat content and requires complex carbohydrates such as whole grain rice or legumes to encourage healthy digestion. Your diet when you were a child and how your culture understands nutrition might have a strong impact on wether you can implement this diet into your daily life. It’s hard to go agains everything you knew and everybody else knows and follows. Who might benefit most from the keto diet? If you are on what many people refer to as Standard American Diet, you most likely are much better off following a keto diet plan, regardless of any of the points above. Eating extremely high processed foods is never a healthy option. If the keto diet helps you stay off highly processed foods and makes you feel healthy and strong and marvellous, YES it is the healthiest diet! Make a keto diet plan and try it out. Write down the effect it has on your body and both physical and mental health and find out for YOURSELF if this is the best and healthiest diet for YOUR body. 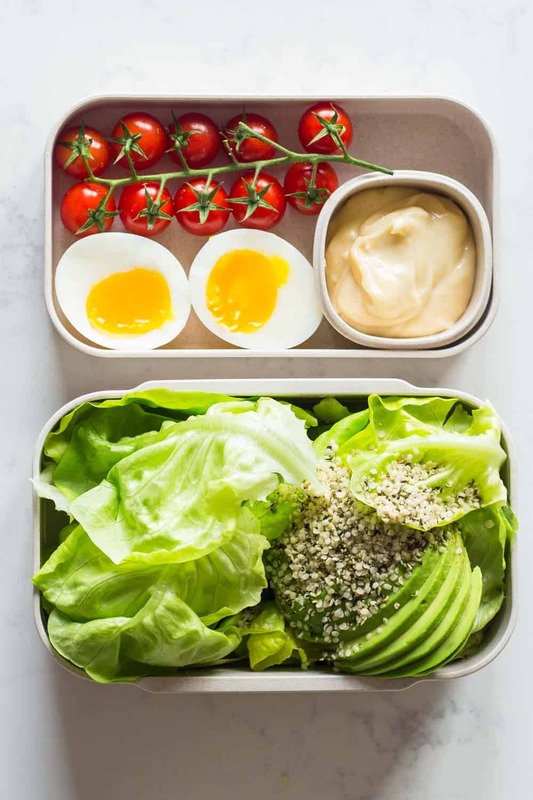 A healthy keto dinner as part of a complete keto diet plan- butter lettuce, avocado, hemp seed salad with mayonnaise, a soft boiled egg and cherry tomatoes. Breakfast: add yogurt to a bowl, top with raspberries and sliced almonds. Do you work, what I wondered is what my husband would take to work for lunch with him. That’s easy to transport? Hi Sara, it depends on if your husband eats cold food or not. The lunch suggested here is great to take to work, the chicken can be enjoyed cold, or he can reheat it in a pan if his office has a small kitchen. If he doesn’t like cold chicken and he has no option to reheat you could change the lunch and dinner options suggested in this meal plan. He can eat the egg and salad for lunch. It’s a great lunch to enjoy cold and then the chicken and baby spinach for dinner instead. 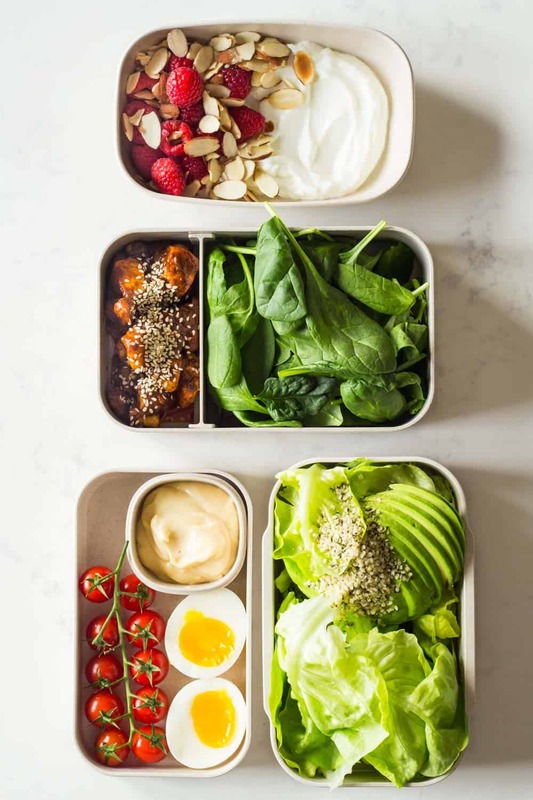 Great cold lunches that are keto friendly in general are always hard-boiled eggs with veggies, or turkey/cheese roll-ups and raw veggies, or salad greens with shredded chicken or shredded pork with homemade mayo on the side to then mix up at the moment as a salad dressing. Hi I was just wondering if you could do a few recipes that could benefit me on the keto diet that I want to start but am not really sure there are a lot of meals I could have due to being allergic to all nuts. Is there any chance you would be able to create recipes without any nuts being involved. Hi Courtney, I’m currently working on a 21-Day Keto Meal Plan. Unfortunately, it’s super time-consuming. And after buying a keto cookbook yesterday and returning it the same day because it wasn’t well researched and the recipes clearly not created specifically for the Keto diet you wouldn’t want me to rush this. I want to make sure the Meal Plan is SPOT on and the recipes complement each other and make eating Keto easy. Give me another month or two and I’ll hopefully have more news on progress. Currently working on a rough sketch but still have to test all recipes and photograph them, too. You definitely don’t need nuts to be able to eat Keto. For now, I recommend to keep it as simple as possible. You can eat my 1-day meal plan 4 days a week and find other recipes you like to build another similar day and then keep switching between mine and the other. Working on it :) It will take a couple months though I’m afraid. It’s very time-consuming. Carrie, I highly recommend a support group. I personally know a woman “Amanda Rose” who recently lost half her body weight through the Keto Diet and intermittent fasting. You should totally join her Facebook Group. It’s called “Eat Like a Bear” and you can find it by entering the group’s name in the Facebook search bar. She is so amazing and so supportive for people struggling to lose the weight. Hi, there are lots of videos on youtube you could look into to start getting some exercise at home. I do not drive either and I love using youtube to get my exercise in!! You can do a search for workouts at home for beginners!! hi. made a new friend yesterday called Roose who is touring kenya n looking at the keto it looks healthy n great. Ketogenic diet is high fat moderate protein and low carb, use fats that you great grandmother would have used, such as animal fats olive oil, and coconut oil, not modern seed oils. eat whole eggs, the high fat ground meat, any fatty cuts of meat, and fatty fish, chicken thighs. Eat green vegetables, salads, brassicas. Cheers. This is great! I’m having a hard time finding simple, clean keto recipes online. Everything is gooey, cheesy, and creamy. Do you have any more? Thanks! Hi Danielle, yes, most Keto Recipes I’ve seen on social media don’t look very appealing to me either. I have a Keto Breakfast Casserole and a Green Smoothie on the blog you can use the search bar in the menu, just enter “keto” and they’ll all appear. I am also working on a 21-Day Keto Challenge e-book at the moment. If you’re interested in being notified when it’s ready I recommend signing up for my newsletter, safest way to not miss it. Hi Lorena, i love your post its so easy to follow. I have started my own keto blog and would like to share some recipes with you to post on your site that i found to be delicious! Hi Christina, thank you for your lovely comment. I don’t accept guest posts on my blog at this point. All the very best for you blog and your business though. I’m sure it will do really well. Lot’s of people need Keto recipes. You will be an inspiration for them. do you recommend the keto diet for type 2 diabetics? Hi Christine, I’m not a doctor or nutritionist so I can’t recommend any diets for any kind of health issues I’m afraid. I highly recommend talking to a health professional AND nutritionist with experience treating people with type 2 diabetis. The containers you have in your pictures look like they might be ones with lids (i.e. travel containers) would you be willing to tell me what kind you used? Hi Sloane, yes of course! They are reusable and recyclable natural fiber bento boxes and you can find them here: https://amzn.to/2SGwSOU (this is an affiliate link and I might earn a small commission if you buy the box through that link, at no extra cost to you). When do you use the fish sauce? Oh no worries!!! That’s what I did and it’s delicious! Thank you for all your help!! YAY!!!! I love that I’m reaching people from all over the world!!! Greatly appreciate your input, am new to keto and looking for ideas/recipes. Thank you for the info. 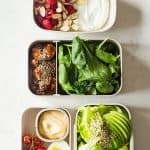 I’ve been looking for practical advice like this for ages as I really want to do Keto and stick to vegan food only. Wonderful April. New year, new life!!! I have bookmarked this to share with my friends who ask about Keto. Such an informative post. And meal planning is key for any healthy diet!